VideOccasions receives National Artistic Achievement Awards! VideOccasions has received national recognition for its production work in shooting and editing, including two Telly Awards, one for the overall production and one for the sound track for a promotional video for the St. Mary Angler Fly Shop in Cranbrook, B.C., Canada. "Since 1978, the mission of the Telly Awards has been to strengthen the visual arts community by inspiring, promoting, and supporting creativity. 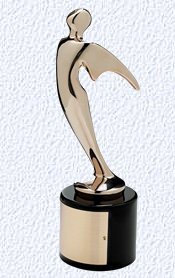 The 28th Annual Telly Awards received over 14,000 entries from all 50 states and 5 continents" in 2006. VideOccasions is proud to have been honored among those awarded. 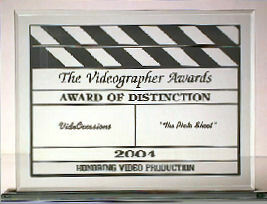 The St. Mary Angler Fly Shop video also received an Award of Excellence in the 2008 Videographer Awards in-house marketing category, and an Honorable Mention for its work for Smile Design Dental Labs in Bellevue, WA. Other productions receiving national recognition from the Videographer Awards have include Gathering of WarBirds, a forty- five minute DVD of the Sixth Annual Gathering of WarBirds Air Show, held by the Olympic Flight Museum at the Olympia Regional Airport, Olympia, WA. An article recounting this adventure can be found on our website. Three other productions have also won Videographer Awards, one a satiric spoof of the wedding industry, which received an Award of Distinction, the second a production supporting the national new-product roll-out of Garden Botanika,. VideOccasions shot and edited the Garden Botanika video, working closely with the creative staff of Garden Botanika to develop story as well. This video was distributed to more than 100 Garden Botanika stores as a means of introducing the new product line and of training sales staff in techniques of marketing the new products. Most recently VideOccasions has received a 2014 Videographer Award of Distinction for it's video production for MaternaLIFT, whose web and YouTube presence provides an excellent example of how video production can enhance and support on-line marketing. 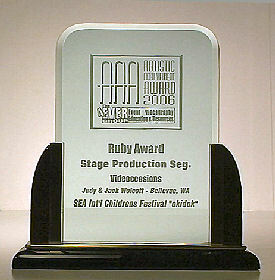 VideOccasions received an Artistic Achievement Award at the 2007 4EVER Group's national conference in Jacksonville, Florida, for it's production of "OKIDOK2," the theatre performance of Belgium's clown duo who appeared as part of the Seattle International Children's Festival in May 2006. Locally, VideOccasions founder Judy Wolcott received an award in the first annual Professional Event Videographer's Association Northwest (PEVAN) editing competition. Working with footage provided by then Association Chair Edd Smith (Smilson Productions), Judy created a charming fairy tale of two children "trapped" in the world of wedding giants. "Thank you so much for the excellent job you did transferring my video of the 1970's to a DVD. I received the DVD today, and I was delighted with the way you lightened the dark scenes, brought some jerky scenes into better focus, and, especially. edited the music to match the event. You improved on my old videotape and made it much more up-to-date with your technology. 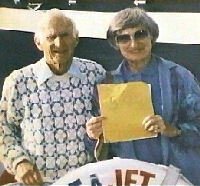 "The wonderful tape you edited for me helped our organization raise over $7000. Bless you." Sarah C., Monroe, WA -- And a year later, Sarah reports: ". . . the video [has] helped to raise $$55,000 for the [food] program so far. We've given copies of the video to our donors who have made substantial gifts. Thanks again for all your help." "I have been doing business with VideOccasions for 9 years. They handle all of my corporate video recording and DVD production needs. The quality they produce has been consistently outstanding, they do what they say they will do and have it done usually before it's due--very unusual in today's marketplace. I wouldn't consider going elsewhere. Great service, low prices and an outstanding product keep me very happy right where I am!" 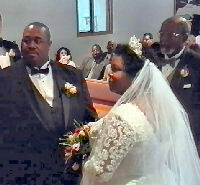 "Thank you for video taping our wedding and creating such a wonderful video. We really appreciated your personal touch with every step. [The video] was absolutely wonderful. Thank you so much for being part of our special day. An absolutely fabulous job. Most importantly, you caught a lot of things we never would have seen, like [our nephew] sitting on the lawn, eating out of a McDonald's bag before the reception began. Thank you so much for being so intuitive, and for just being the absolutely wonderful videographers that you are, and for putting [the video] together in such a wonderful format." Adam & Shelly B., Charlotte, N.C.
"On behalf of everyone at theSeattle International Children's Festival, our sincere gratitude to you [Judy] and VideOccasions for your continued generous support and [video] involvement. . . it was great to have you on grounds all week, enjoying the 14th Festival and helping SICF to send a message of international friendship, mutual respect and pride in one's own culture, through the arts." Andrea W., Executive Director ". . .You did a fantastic job with the holiday video for us. It has been a big hit with all of the employees." J.S. "I want to thank you for the wonderful tape that you made with my parents. You did a great job of interviewing them and getting them to talk about their lives. I found out a great deal about them that I didn't know and it was interesting to hear them talk about their family life when they were younger. The editing is terrific and the pictures definitely support what they are discussing. I am not sure where you got all the pictures, but they are excellent. You are obviously quite professional at putting together tapes. The tape is a real treasure for out family and something we can enjoy for many years."